The company has announced this new update through the official forum of the company, in which the company has given details of the whole changelog. Apart from this, how can you download this new update or if you want to downgrade again, the company has given information about it too. The good news for OnePlus 6 users is that the company has released the latest beta version of the latest Android pie for this smartphone. 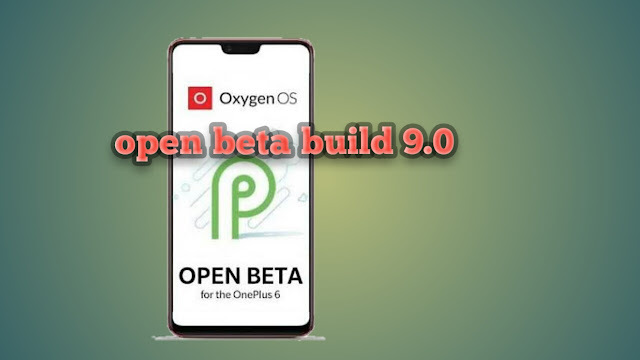 It would not be wrong to say that OnePlus is one of the first companies to offer the Latest Android 9.0 Pie Update to its Smartphone in India. The Google Play service will not work. Download the ROM upgrade package provided on the company's forum with a special service. Copy this ROM upgrade package into mobile phone storage. After this, select Settings -> System Updates -> Select the icon at the top left -> Local upgrade -> Click the installation package -> Upgrade -> Upgrade to 100 percent of the system. Then select Reboot Systems Now and the update will be completed. For this, go to this section of the company forum and download another latest ROM package from the server. Copy it directly to the phone storage route. After this, the Settings -> System Updates -> select the icon at the top right -> Local upgrade -> Click the installation package -> Upgrade -> Upgrade to 100 percent of the system. With this, the company has instructed that after this all the contents of the phone will be cleared, so keep in mind the user that backup must be taken. At the same time, it is a beta software, so not as static as an official OTA update. However, any problems that are coming to the user in this beta version can be reported to the company by visiting the report. For information, let us know that the company had confirmed that it will release Android P for its latest OnePlus 6 timely even before the launch of OnePlus 6. At the same time, Google announced its 'Android P' operating system officially in its annual I / O 2018 developers conference in May this year. In which he informed that this time this new Android operating system is with Google's (Artificial Intelligence) and machine learning expertise. Google's new Android OS will find many features in addition to adaptive batteries, adaptive brightness, app operations, slices.